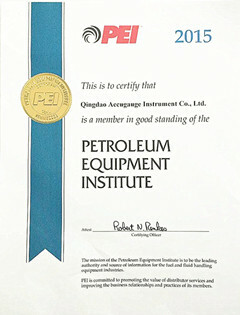 ACCU became a manufacturer member of Petroleum Equipment Institute (PEI) in September 2014, and we have renewed our membership this year. Petroleum Equipment Institute (PEI) is established to focus on specific topics, makes recommendations and sets guidelines for association programs, events and publications in the fuel and fluid handling equipment industry. It means that our company can accept the latest information and recommended practices. ACCU will take advantage of PEI to share the most useful information in a timely manner and contribute an own strength on China's Petroleum Industry.